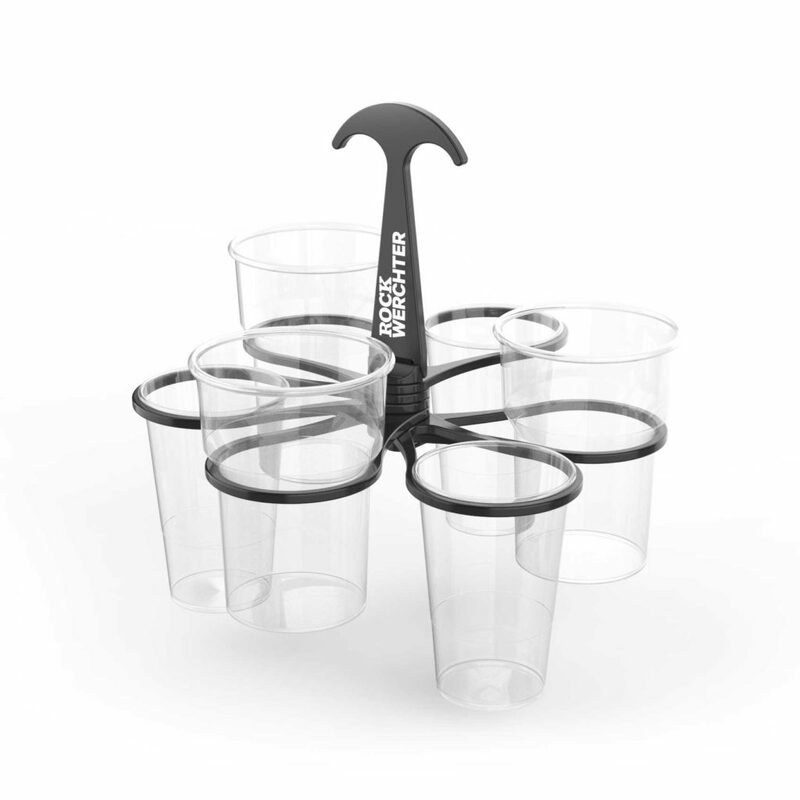 Today’s bioplastics do not have yet the technical properties that meet the requirements of a durable cup holder. Therefore we use the best available raw material, which is polypropylene. This plastic is very strong, durable and recyclable. How many Cupkeepers do I need to order to print my logo? Given the fixed set-up costs, most customers order a minimum of 1.000 pieces. The printing investment becomes profitable from 200 pieces onwards. Which Cupkeepers do you have in stock? Cups only (18 cl – 33 cl) in black or white. Cups & Pints (25 cl – 33 cl – 55cl) in black or white. From stock without logo printing: 1 – 2 weeks. From stock with logo printing: 3 – 2 weeks. Cupkeeper in customer’s color (from 5.000 pieces onwards): 10 – 12 weeks. How can I personalise my Cupkeeper? From 100- 200 pieces onwards you can print one or two logos on the handle of the Cupkeeper. The Cupkeepers in stock have black or white as base color. For large orders (> 5.000) you can order Cupkeepers in any base color.